"Okay Out of the Box Experience"
Apttus gets the job done for us. It allows our enterprise business to quote our customers and get them with pricing answers pretty rapidly. The integration with Salesforce Lightning was essential for us to scale. There are so many little bugs. There's little flexibility in changes we may need and customer support has been very lack luster. Provide a quoting tool to use for our sales operations specialist. It provides a clear, concise, and repeatable format. It's great that it integrates into Salesforce, but the functionality is lackluster. Our sales ops specialists are able to get answers to our sales leaders rapidly, but we sell a lot of products. So stacking bundles together can be rather challenging as well. ""Getting Profitable Sales with Apttus""
We have put vigorously in a java-put together guided offering arrangement sitting with respect to best of Salesforce.com. It was critical to discover an accomplice that was firmly incorporated to this stage. Also, we perceived this was just the start of our CPQ venture and needed the capacity to advance our stage and develop the expansiveness and profundity of our answer. We chose Apttus dependent on a few key elements; 1. local salesforce, 2. profoundly configurable with a great deal of solid out-of-the-crate usefulness, 3. customization use summit and visualforce, 4. very scale-capable, 5. simple support of yield reports through X-Author, 6. wide assortment of potential extra arrangements by means of SFDC appexchange. While exceptionally configurable the center item design and shopping basket screens have a few limitations. Additionally, might want the capacity to control/redo center catch perceivability and conduct. The X-Author arrangement takes into consideration simple organizing however doesn't deal with complex restrictive recipes. The best suggestion we got before we set out on this adventure was to get the Apttus multi day preparing which I think helped us immensely amid the arranging and usage of the venture as we had the capacity to imagine our procedure with Apttus usefulness. I think we have had the capacity to streamline our proposition age, contract creation, and by and large exchange process. Arrangements are moving snappier through the pipe with this apparatus. In particular, endorsements move a lot snappier with the Apttus framework. Before our framework was stuck together with metaphorical "gum" and "channel tape." "Driving Profitable Sales with Apttus"
We have invested heavily in a java-based guided selling solution sitting on top of Salesforce.com. It was important to find a partner that was tightly integrated to this platform. Additionally, we recognized that this was only the beginning of our CPQ journey and wanted the ability to evolve our platform and grow the breadth and depth of our solution. We selected Apttus based on several key factors; 1. native salesforce, 2. highly configurable with a lot of strong out-of-the-box functionality, 3. customization leverages apex and visualforce, 4. highly scale-able, 5. easy maintenance of output documents via X-Author, 6. wide variety of potential add-on solutions via SFDC appexchange. Apttus has continued to make investments in the products continually enhancing UI centric elements and the underlying engine. We continue to benefit from our decision to use a native SFDC solution, allowing us to adjust our solution via SFDC's declarative and programmatic customization capabilities. While highly configurable the core product configuration and shopping cart screens have some restrictions. Also, would like the ability to control / customize core button visibility and behavior. The X-Author solution allows for easy formatting but doesn't handle complex conditional formulas. Not just Apttus but with any CPQ, clearly work through your processes and how your information evolves through the flow. Ensure your systems of records are available in a manner the allows for easy integration into CPQ so your CPQ platform doesn't evolve into your system of record. Work through your product structure and attributes to for a clear point of view as to what attributes are resolved at selection versus those that are tweaked through the process. As a SFDC shop, the benefits of choosing a native SFDC solution has continued to to validate our decision. •	We have better control of pricing and product visibility. •	Sellers have visibility of deal profitability. •	We have an automated approval process based on deal types, products and size. "User friendly CPQ - CLM Queue "
Very User friendly and covers all possible Business use Case. Customization on customer facing document management. Easy commit of changing on documents using x -Author . Upgraded Angular version has very good look and Feel User Interface. Supports multi language and Multi Currency Quote. Very Limited Customization features, lot of Managed code which has limitation of Edit Access. Even for minor modification we are dependent on the Support team. Debug on Management Code is not Possible or highly difficult. Need Proper Knowledge on the tool so that we can effectively utilize all the features. We Solved Advanced discount Matrix implementation for one of our Customer. We Implemented List Price Override Functionality which was very feasible and reliable with the Tool. 2. Setting up Delegate Approver Setup for Higher discount on Matrix Setup. 3. List Price Override by usage of IsCustomPricing Checkbox on Line Item and Proposal Line Item Objects respectively. Apttus provided focussed onsite support during a key phase for us. This enabled us to have their undivided attention on the project. The case support team have also been great – working diligently on any support and product enhancement cases that we raise. The software enables both simple or complicated product configurations which is important for our industry. Ideally the UI would be more intuitive and auto refresh as I make changes rather than having to force it to Reprice. Ensure you train/obtain good training for your admin staff to configure into Apttus CPQ. Ultimately you will want to become self-sufficient in the setup of your products into CPQ. •	Digitisation of our work day. The more we do within a digitised environment the more information we can use for analytics, insights and customer-single-view. I like that it allows our sales reps to check out line items from a cart in order to create an easy to generate contract...this is leaps and bounds better than our old way of doing things. Moving forward, Apttus will continue to make our reps more self sufficient. It will also also give us more ability when we move towards e-commerce pieces. I think that it could be more intuitive. Lots of different click paths that are unnecessary...which gets confusing for reps. The loading bar is deceptive. It is slow at times. Be prepared for change. Once you understand it though it is super easy. I think we have been able to streamline our proposal generation, contract creation, and overall negotiation process. Deals are moving quicker through the pipe with this tool. Specifically, approvals move much quicker with the Apttus system. Before our system was stuck together with figurative "gum" and "duct tape." "Working as Principal CPQ Engineer at Aspect Software"
I liked Angular JS interface which is faster than the earlier version. We have recently upgraded Angular JS and most of our business like a lot. This has good performance and Option page limitation and fast. And also Apttus CPQ is capable for most of our requirements but off-course Aspect has more customization due to complex scenarios. But we do observed ABC rule which is the replace of SFDC depended pick-list functionality. Not sure why Apttus introduced additionally setup for already existed SFDC functionality. New version always should decrease the no of steps instead of increase. CPQ needs to improve little more like functionality wise and easy setup wise. We have observed some reprice issues in Angular JS where we need to reprise mutiple times to get the correct price so we have reported this to Apttus. We mostly solving the problems using CPQ rules like Constraint rules and Field Expressions and so on. I got to know in Angular JS, Field Expression features are more extended which is helping a lot to fulfill our business requirements. "Comprehensive CPQ Tool for Salesforce"
Out goal when we started looking for CPQ solution was to get something that was native to Salesforce and Apttus was the first CPQ application that was. It was able to handle our complicated pricing scenarios and helped provide insights into the discounting and selling process like never before. The approval process is also very handy in making sure the reps are not discounting greater than they should be. We also have implemented the X-Author for Excel and Word which has helped us with migrating our Key Account Team over to CPQ from their excel spreadsheet thereby making the system the one process for everyone. The speed is slow at times, specially when you have a quote with hundreds of lines. Support is very slow as well. Depending on who you get, it may take from 2 days to sometimes few weeks and even months to get a issue resolved. We finalized on Apttus CPQ much before they had their support tiers in place and we think we should have been automatically grandfathered into the higher tier by default at least for the first year. Also their new Angular UI is lacking some of the features that we grew to like in the Classic UI. There has been a great improvement in documentation and product architecture from the time we launched to this date. The best piece of advice we received before we embarked on this journey was to get the Apttus 5 day training which I think helped us tremendously during the planning and implementation of the project as we were able to envision our process with Apttus functionality. We were able to reduce our product price books from 6 down to 1 thereby reducing the management of the product catalog. Integration with Docusign allowed the reps to send accurate and more efficient quotes to the customers with relevant Terms and Conditions based on the products selected thereby reducing the number of returned orders by 97%. It also helped control reps selling into market segments they were not authorized to do so. Helped us gain insights into the selling and quoting process. "A Complete CPQ Soluton "
1. Support is better but can still be improved by hiring more knowlegeble staff and/or trainign the support personals so that issues can be resolved quickly. 2. Admin guides are improved but still it is difficult to figure out what bugs were reported in the the version that is installed. It will be nice to get webinars or self guided training video's for admins because if admins understand the full capabilities of such a strong system they will be able to improve the user experience. This is a enterprise level solution to meet the CPQ needs which can handle a lot of use cases and also a complete solution with approvals, templates, and billing. You should identify the needs of the business and choose a solution that will meet the needs. We wanted to reduce the time it takes the quotes to go to the customer and with fewer errors. We are able to achieve this with Apttus because all pricing and approval process is built in the system. Managers can approve the quotes from their cell phone while travelling and rep can generate the quotes and send it to the customer via docusign. "Strong Configure Price Quote Solution - Improved Sales Team Efficiency"
Apttus' native Salesforce CPQ application allowed us to integrate it into our environment with less administrative resources than would have been required for a non-force.com application. Our integration partner Uptima was recommended by Apttus, and Uptima was instrumental in ensuring that we launched while staying on budget. Apttus' Xauthor for Word allowed us to create multiple versions of our standard quote/order confirmation, addressing unique standard terms for different types of sales automatically. Apttus CPQ pricing functionality was flexible enough to address all our varied pricing scenarios. These included user based tiered licensing, account based tiered pricing, quantity discounts, promotional discounts, and discretionary discounts. Apttus' strong integration with leading esignature vendors DocuSign and Adobe allowed us to completely change our sales process, gaining a customer signed agreement for every sale. Overall, we improved our compliance with subscription auto renewal requirements while reducing our sales reps time spent explaining auto renewal terms, resulting in an uptick of 50% on our auto renewal business as compared to non-auto renewal business. Implementing a CPQ solution is more complex than implementing a standard SFA solution with similar costs. Apttus' complexity requires us to have a dedicated full sandbox for Apttus CPQ release testing. Our initial contract from Apttus did not include a premium support option. They have since changed their process to include this as an option for most CPQ sales. Given Apttus CPQ's complex nature and our limited administrative resource, we are currently in negotiation to add premium support to our contract. Documentation and training were not as robust as we would have liked when we started our project (January 2015). Since our launch, in October 2015, we have seen continual improvements in documentation. We have not yet assessed their recent training offerings, although they have told us our and other client feedback was instrumental in improving their training offerings. Apttus has the most comprehensive roadmap for their overall quote to cash platform. We are using CPQ, Xauthor for Excel, Xauthor for Word, and are a lighthouse customer for their Machine Intelligence solution. We have also invested in their Contract Lifecycle Management solution, although we have not yet implemented it. With Apttus CPQ, we have been able to incorporate our business rules within our product catalog, improving the relevance of product search results. Additionally, Apttus CPQ together with the Apttus DocuSign integration has reduced the complexity of our standing order and auto renewing subscription process. This allows our sales teams to deliver an accurate quote more efficiently with less channel conflict. The product is 100% native to SFDC, so it leverages custom objects, fields, workflows, and apex that can be easily configured and built upon. Support and training are also plus points for this great product. Apttus is a highly sophisticated tool that allows us to build quotes based on complicated product structures and generate proposals for our customers. The product is 100% native to SFDC, so it leverages custom objects, fields, workflows, and apex that can be easily configured and built upon. Support and training are also plus points for this great product. : Apttus CPQ improves the capacity of prices of complex offers and generates professional and convincing proposals from templates. With Apttus CPQ, we were able to simplify and optimize the configuration of the product, the prices and the creation of proposals and the administration process. With this product, the sales team has the ability to configure product offerings with great efficiency and can track and improve related sales metrics. In addition, the administration of Apttus CPQ is easy compared to similar products. We implemented Apttus for practically all our sales representative processes, and in doing so we discovered that thanks to Apttus, the company managed to significantly increase the ROI. "Gets the job done easily"
Ease of use. It was honestly not hard to have reps trained on using it properly. Integration with SFDC was a bit chunky. Not sure if this has to do with APTTUS to be honest or with SFDC. Truth be told, getting things done in SFDC can be cumbersome when they are not native. Apptus CPQ did a good job though. I believe part of the integration problems had to do probably with both tools. We use both. This is a very good tool, it gets the job done and makes reps more productive as they use it. I liked it and recommend it. Every ISR on my past team used the tool to quote to both direct customers and partners. The ease with which they would go through the tool and produce executable quotes was key to speed-up the closing process of deals in a high-velocity model. As we worked on a layered indirect sales model we basically had three types of customers: a) end-customers to which ISRs would sell directly. b) partners or resellers who would buy directly from us and re-sell to their end-customers and c) other reps to whom we helped with back-office or supported through more complex or longer sales processes. CPQ became utterly important when we understood that we needed both speed and ease of use to be able to answer to as many customers as we had pinging us for quotes. Both partners / resellers and sales reps had other tools but because my team was used to working at a faster pace, they preferred getting quotes from us instead. We were able to do that mostly because of CPQ. "A great configurator but plan carefully "
1- The out of the box features that apttus provides. 2. Being a managed package within salesforce saves on integration cost and effort. 3. Reaps the benifits of salesforce.com being on the same platform and a force.com app. 6. Integration with CLM - as Apttus also provides a CLM module the CPQ naturally integrates with this tool. 7. Renewals and Contracts - A great feature provided by apttus where you can do out of the box renewals. it helps especially the Software industry. Not able to write extremely complex rules without customization. Some out of the box features like renewals, ramps cannot be customized without significant customization. Cannot make the tool look the way we want without custom code - UI needs to be more flexible. Add more ways to write complex rules especially for the manufacturing industry. Do a feasibility study before implementing this tool to make sure everything you need is supported or be ready to adapt to the software you choose inorder to avoid expensive and complex customizations. Building a global standard CPQ tool for a growing organizaiton. A salesforce.com bases front office experience. Their angular interface is modern looking, but not really modifiable. It's not intuitive, it's hard to set up, it's expensive, it's not user friendly, and I don't find that it is a scalable solution. Don't buy it. It's hard to install, it's expensive over the long term, and their sales support is not really that helpful. Getting quotes generated and into Salesforce and then pushed to Oracle. But I wouldn't say we "realized them" so much as "Forced it to work." "Comprehensive platform for Quoting, but Complex and less flexible to various business needs"
1. The Approval package has best features to accommodate the matrix and its highly configurable. 2. X-Author app is a great tool and has great features and user friendly. 4. Being native to Salesforce it easily integrated with our other SF products providing better user experience to our users. 3. Certain complex business scenarios are not part of core product, which leads to customization. 4. Not fully compatible with SF Lightning. 5. Latest versions are not compatible with custom features which are hurdles for future upgrades. 2. As integrated with other tools/apps in SF it provides a clear view of various deals getting created in the system. 3. Moving away from traditional excel tools. I have 2+years of experience in Apttus CPQ, Apttus is haivng couple of interesting features like prodduct configuartions, Constraint rules(which can perform Auto inclusion,Exclusion of products,Validtions ), Pricing rules (Price matrix, Price rulesets), Priclist for each country.Guided selling rules , comparing the similar kind of products using Fetaure sets ,Products Importing one to another environment using X-author excel . At atime we can update all batch jobs using update all button in maintenance console. using Config settings customizing flow ,displaying coloumns,Bundle page settings,Action settings. X-Author Excel also having 20K Limitation when importing from sandbox to production,While quoting some extra information getting which is not belongs to particular Bundle. There is no user friendly error messages especially constraint rules in Angular JS upgradation. No Proper document for design X-author excel Apps and X-author word documents. "I have approx 4 year of working experience with Apttus CPQ and ALM." The product configuration with rules and all other functionality related to same is superb for Apttus. Their CLM and ALM part is also very user friendly. In terms of customising this is very flexible for us. We are very happy to work with Apttus as a CPQ Application. The process during the Quote configuring is typically slow and as a regular user some pick business time we feel a bit bad because the actual business time is the one when we need application to support faster. The Apttus should also comes with its complete own Angular JS version so that as a developer/Application point of view we can shot our out business need and issues much faster than now. It also make charge additional but the efficiency will increase a lot and the end users like sales will always happy. Yes, I recommended so many of my friend to move Apttus. This application is really awesome to work instead of only focusing on the SFDC support. We have terms of Renewal, Add-ons, Upgrade, Migration, Credit like of business requirement which we solve in CPQ Application. But after upgrading to Angular JS our work got much smoother that the classical version. We have a very good CPQ, CLM and ALM feature built up with our organisation application and I will really happy with Apttus ahead. The Apttus should also comes with its complete own Angular JS version. "Apttus is more user friendly tool to configure." UI based configuration is the best and also collaboration is also the best from Apttus. All salesforce will love the collaboration. I would like to recommend about collaboration for the same. Xauthor is also one of the brilliant reporting tool most of them will have to have the same. Most of the setup and configuration is very hands on and its very easy to validate. the above 3 are best I worked so far. Not just Apttus but with any CPQ, clearly work through your processes and how your information evolves through the flow. Ensure your systems of records are available in a manner the allows for easy integration into CPQ so your CPQ platform doesn't evolve into your system of record. Work through your product structure and attributes to for a clear point of view as to what attributes are resolved at selection versus those that are tweaked through the process. As a SFDC shop, the benefits of choosing a native SFDC solution has continued to to validate our decision.We have invested heavily in a java-based guided selling solution sitting on top of Salesforce.com. It was important to find a partner that was tightly integrated to this platform. Additionally, we recognized that this was only the beginning of our CPQ journey and wanted the ability to evolve our platform and grow the breadth and depth of our solution. every time the new release comes when we updates the patches...existing setup is breaking. Looking for more user friendly improvements. we had few issue everytime deploying new enhancements breaking existing build. "Great tool for configuring prices and quoting to vendors selections"
My favorite feature that Apptus CPQ offers is the visibility from Opp to quote to agreement. It really helps being able easily get my contracts out to my manager and to the customer so quickly. It takes some time to learn the software behaviors. There was a lot of timely customization needed to meet our exact needs, but not a huge disadvantage. This product is highly effective because its native within Salesforce and does not serve as a standalone application on another site. Using a program that is flexible to our unique needs and drafting different contracts for different scenarios. While there is a lot to learn, Apttus Very good developer guide, easy to follow and in-depth explanations are available. "A great deal to have Apttus CPQ"
1. It has upgraded Angular version has very good look and Feel User Interface. 2. Supports Multilevel Approval Management. 4. X-Author app is a great tool and has great features and user friendly. 5. Need Proper Knowledge on the tool so that we can effectively utilize all the features and highly recommend Apttus CPQ for Enterprise and Mid-Market clients. Lots of different click paths that are unnecessary...which gets confusing for representative, but can be proved efficient if this can be viewed from another angle. •	Apttus CPQ provides a lot of Out of the box features for product, pricing and packing configuration and provides an easy shopping cart experience with quick quoting process. •	As it’s embedded within salesforce, the ease of integration and visibility to all the users makes it easy to use. •	As most of the complex pricing and packaging can be achieved within the application the technology costs have drastically reduced. •	Incorporates the industry grade CPQ practices. •	Eliminates manual processes through streamlined and simplified processes. •	Highly scalable and integrates well with the other counterparts of the Quote to Cash process. •	In case of missing functionality the product team is quick in understanding the CPQ/ ABO customer requirements and incorporating them in the near term or longer term roadmap. •	Some features such as Upgrades/Amends still need customization as it does not meet the need. •	Ramps for multi years for bundles products are yet to be included in the CPQ product. •	Helped our company enable a test and learn mode prior to a wide scale product launch in different markets to enable product, pricing and packing optimization. "Quick, Easy, Real time quotes on the go! " Quote generation from my cellphone in the field. Quick, easy, straight forward to use. Complex SKU's are easily organized with Apttus. Excellent versioning control for quoting. At times we have to send 4-10 quotes to a single customer. Keeps things straight forward and ease of use is A-OK! Not a ding to Apttus, but when we put out a new product - we have to adjust SFDC to publish accurate information. Its a measure 10 times, cut once experience. Again, this is an internal situation and no harm nor foul to Apttus. Have more than 10 Sku's? Give Apttus a try. The more complex the quoting sales cycle, the more awesome it is. Attention to detail when creating the UI is slick and that helps with User adoption in house. Quote generation should be easy. We over complicated it early on with a homegrown system that didn't solve all opportunity needs. Native to SFDC, so easy to search, adjust and resend. "Apptus is simple to use with a clean interface"
It's user friendly and has all products nicely organized so users know where to find them, it calculates pricing for you, and integrates with Salesforce. Perhaps it's my internet, but sometimes it seems to load the next screen slowly. Or if you click on products too quickly before the previous product saved, you may get an "Undefined Error." Apptus is simple to use, it's configurable to your own organization and the products you sell, it has a simple interface. Apptus is how we quickly and easily select and price out products for our proposals - it's easy to use - and gets the job done. Love being able to edit several times before I'm ready to "finalize." The Apttus CPQ is definitely one of the most robust CPQ systems for the Salesforce platform. The ability to configure things exactly the way your company does business is outstanding. There are also tons of supporting modules that allows for flexibility depending on the structure of your organization. One great example of the is their Intelligent Workflows and Approvals. Setting up some of the more nitty gritty elements of the Apttus CPQ system can sometimes be a pain. Some of it is just Salesforce limitations. Things like having to run maintenance buttons makes the program feel old and outdated, but again these are mostly Salesforce limitations. Some would argue it's too complicated, I think the reason for the complication is due to the shear number of business cases it can support. If you plan on rapidly growing and expanding, this is your product. If you have a very simple product and sales process, look elsewhere. We are solving almost the entire CPQ ecosystem for a SAAS company. The true benefits of this is the ability to accurately and quickly track the pipeline from Order Form to Revenue. We are also realizing the benefits of massive expansion, including the ability to use Multi-Currency. This has greatly increased the rate at which we can do business. We have an extensive implementation of Apttus here ! We are using all tools offered by Apttus and so far it has been a great experience. There are sometimes however glitches and we fall into pit blocks but Apttus has been a great tool (& only so far) fitting in our requirements. We will continue to learn and adapt Apttus. Our users like the way X Author providing a seamless integration with excel. It helps us to keep everything on the ease of use at the same time running our back end processes from the integration. Ability to suit in SMB business. Ability to chip into the SMB and Mid Market Business. Ability to reduce the Sales Cycle. Suits well in your business needs. Beneficial for Enterprise Sales Cycles. "Apttus CPQ Tool Improves our Business Process"
The fact that this product is native to Salesforce has allowed us seamless integration points with Apttus CPQ. Our end users don't even realize when they are switching between products. It also allowed us to standardize pricing and procedures which were like the wild wild west prior to moving to Apttus. Sometimes the speed of the system is slow. We have discovered this might be based on the hardware that our end users utilize. I am not too fond of the way they handled support costs. They include basic support in your subscription but that has a 2 day response time. If you want a better plan the costs are prohibitive. It was going to be more for the support fee than the actual cost of the annual subscription. This is not to say that the basic included support is not good. It is just that they prioritize the basic support cases below the other paid support models which can hold up your response. We used to use several spreadsheets and separate quoting systems with a total lack of consistency. Apttus has allowed us to streamline the quoting and pricing process so that all users are using one system. "Implemented CPQ for 20 Offices"
The fact that the CPQ offering is a component of their larger Quote-to-Cash vision, strategy and suite of connected products. Their CPQ offering provides a deep set of sophisticated capabilities that enable users to accomplish complex configurations within a simple end user experience. Because it offers so much sophisticated functionality, it is a little more difficult to set-up. While I was successful implementing their Contract Lifecycle Management product with their Professional Services team, I recommend using a third party consultant such as Blue Wolf or Slalom Consulting to help work through the deep and rich features and capabilities offered by Apttus CPQ. The best practice is to connect your quoting process to your contract management process and ultimately convert your contracts to your billing. Having all of those processes connected seamlessly across your Quote-To-Cash operation. Most importantly, make sure you tie your Incentive Compensation Management (ICM) platform into your CPQ program so that as your Sales Reps create their quotes, they get immediate insight into how each configuration, price and discount affects their bottom line. This is the best way to ensure that they price their deals in balance between discounting appropriately to compete, but still preserving profitability and also ensuring the configurations best meet customer needs. Also consider the concept of guided selling to further drive sales reps decision making as well as the new emerging AI capabilities to make it that much easier for Sales Reps to interact with their CRM platform. "Convenient, affordable and very flexible mode of marketing software that one can ever be pleasured b"
Apttus CPQ does perfectly the keeping of records, linking of the clients and also creations of market platforms for starters in business. Apttus CPQ requires experienced personnel to run the programs also requires enough time to hook up many clients. Apttus CPQ has removed the struggle of keeping files of client since it can easily update their information online and also we can easily track and monitor them frequently. The best part about Apttus CPQ is that it is natively embedded within Salesforce.com. Many customers, including the instance I currently work with has tons of challenges tied to upgrading the solution though, due to legacy implementations that required copious amounts of Apex code to run properly. The solution is fairly difficult to administer, as well as upgrade to the latest package if you have a legacy implementation. Our end-users aren't particularly fond of the user interface either (which has actually been improved in the latest release package). I believe Apttus is in a bit of a tough spot right now, with Salesforce's recent acquisition of Steelbrick. Now that Native CPQ is a core Salesforce.com offering, that gets automatically upgraded with each release, Apttus is becoming a relic of the past. Unless Apttus can really start to compete on price, I think companies should really consider alternative options, as migrating off of Apttus to a different solution can be challenging as well. We utilize Apttus CPQ for our quote-to-cash process. Specifically sales reps use it for selecting products / services and adding it to a proposal. Since we do leverage Apttus CPQ, we are able to get benefit out of having much greater visibility into the specific products and services that comprise upcoming deals. "Very flexible and extinsible but not great out of the box"
The product has great extensibility if you have a development team on staff. Looking at the solution and knowing that we would need to improve our own processes over time, it offered those capabilities to do so. The out of the box functionality is limited and the development resources available through Apttus are a large cost. As we started to grow our needs, we quickly discovered that we could not possibly continue to use even the customizations that we completed. We are needing to look at doing a total overhaul just to pivot our capabilities a little bit. Make sure you factor in all of your costs when performing the implementation. If you expect that Apttus out of the box will be a good solution for your organization, it is possible if you are fairly immature in your CPQ needs. As you develop your needs, you wil llikely find that you will need to do quite a bit of development. Improve the overall sales process. We have improved our time to quote. Our goal was to improve our ability to deliver to the internal and external clients quickly. Apttus has been a huge benefit to our company. It has allowed us to streamline approvals and structure more profitable deals for the company. We have a fairly complex sales cycle to accommodate and Apttus has absolutely been the right tool for us. The implementation was a bit rocky and user adoption was low at first as the reps struggled to use the new tool. I would recommend, implementations are tough to work through but the end game is worth the initial struggle. We have a complex sale with multiple elements, reps struggled understanding all of these different elements and would often times delay the sales cycles. Apttus has several tools that have helped reps gain visibility into the various requirements of the deal and it has resulted in a much more efficient back office process. I love the ability to integrate the solution with other products and terminating older products. I hate that it constantly breaks. Always has issues and I am not sure if it is due to our side or the system. "Highly sophisticated tool for handling CPQ. 100% Native on SFDC!" Completely native to Salesforce. This is a huge plus as it allows you to maintain and customize features in a way that you are already familiar with. Apttus provides a lot of functionality out of the box and it can handle all of our pricing models natively. Allows the admins to restrict choices for Sales reps and easily implement approval processes for reps to requests discounts or other changes. Although a lot of things can be customized, the main "shopping cart" feature that the sales reps interact with is not as easily customized. We did try making our own feature via visualforce, however this provides complications when it comes time to upgrade. The X-Author tool for editing documents is also a little lacking; it requires us to create additional fields in SF when trying to edit display elements like number of decimal places and date format. There also appeared to be a fair amount of staff turnover at Apttus, as our staff changed a number of times during some of our projects. It is a significant capital and labor investment. Ensure you get buy-in from your sales management on using the out of the box features as over-customization can be difficult and should be avoided. Your admin team would need to get trained and certified on the product. Apttus is a rapidly growing platform and there can be some growing pains at times. Allowing our sales reps a way to create accurate proposals for our customers per the pricing structure we have put in place. The ability to quote accurately in multiple currencies. The ability to create sales promotions and discounts seamlessly. Implementing approval processes for managerial sign-off on discounts. "CPQ that makes end user's life easier"
it's robust features which allow us to configure the most complex products in the contact center business which in turn gives the complete control of quote to order process.It has a lot of strong out-of-the-box functionalities which really helps us to configure a better quoting tool for the sales reps.
2. Though it has a lot of capabilities in terms of handling the business logic, a better and intuitive UI would do wonders for Apttus. it acts as a centralized location for all the sell-able products , pricing which can be updated and maintained very easily. It is 100% native to Salesforce. It's highly configurable and customizable up to a very good extent. Salesforce admin can easy manage CPQ as well. Resources are not open for developers and lack of documentation. It a leading product in the market. The team has got innovation and adding new features in every release. It is helping my client selling their products more efficiently. Major overhead was reduced by using apttus approval management. Apttus for the most part is an intuitive tool that allows Sales Reps to streamline their Quote to Cash process. Apttus provides out of the box functionality for Product Selection, Pricing, Approvals and Contract generation. Try not to use a lot of custom code. The out of the box product works well by itself. We use Apttus across the board for our Sales team. It's the primary tool for Sales Reps to get Quotes/Proposals created in SFDC, priced and approved before sending out to the customer for Signature. This is a fairly streamlined process that after time, has become second nature for our Sales team. We also leverage Apttus CLM for our Negotiated MSAs. Both products work well together and are a great solution for any Enterprise Business. Once i learned how to use Apptus CPQ i didn't need to rely on sales operations to get an approved quote for a customer. i don't really know the other tools out there as i've only had experience with this CPQ, but BMC typically chooses the best of breed tools for their employees so I have to imagine this is a high class solution that won't get you fired for implementing! It is best for any type of company because it can handle any kind of pricing for small, medium and any enterprise company's products. The x-author product makes it unique in the market because company product managers can update and create new price list items using Microsoft excel which very handy for the customer. Using Apttus CPQ to generate my quotes out of SFDC and then use CLM to automate the rest of the contract's lifecycle. Apttus CPQ makes it simple to pick and choose what exactly I am putting into the quote, including discounts and terms. The way it prompts me to select the correct products or services makes my job easier and has increased uniformity on my team and simplified our selling process. Only an hour of training from our Admin was required to grasp the best way to use it and it was implemented quickly. I can't come up with anything related to the product that I don't like. The changes on the backend are delegated to the Admin, so I should be patient when major pricing changes or new products are added, but that waiting period will come with any product if your company is looking for standardization. Apttus CPQ team is well to work with and they are great at work. Consultative and expert. Time is money and a smooth quoting process also is my sanity. Apttus CPQ has saved me a lot of time and also a lot of patience. I used to get frustrated working out of Excel documents and manually putting numbers into my quotes. This is the perfect complement to what I sell. "Great quote to cash platform for very complex environments"
Our Apttus implementation is incredibly responsive to the user with a great user experience, much improved over our existing quoting tools. Administration of pricing is easy and we hope to make it even easier by taking advantage of X-Author for Excel to build an app than can be used by those with no Salesforce or Apttus administrative background. As a force.com native app, it provides much more power in reporting and consistency throughout the process and is a much needed improvement for our sellers. So far there is very little not to like about Apttus, but one area that could be improved is the ability to migrate data and configurations between salesforce orgs seamlessly and efficiently. 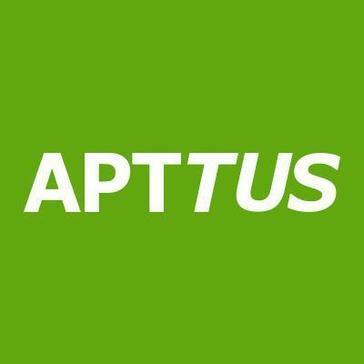 I strongly recommend Apttus, especially if you are in a complex and demanding enterprise environment. Apttus has done a great job in supporting our very complex environment. We have a very large and demanding sales force with a lot of very specific requirements for quoting. Apttus Professional Services has done a fantastic job in partnering with our team to deliver a solution that allows us to quote seamlessly across our entire, very large portfolio. We created bundles, features and options completely on our own, and we don't have an IT department. We were up and running in a VERY short time. Nothing that I dislike, team can work a bit on improving the performance a bit. Feature wise, it is rich enough to mould any sales requirement in system. Also- you need to work on "sales tax". Otherwise, you guys are awesome !! This makes quoting so simple. Our sales team can pump out quotes faster than they can enter in a new lead. Usin APttus CPQ, they were quoting from home. Before they had to work on excels and documents. "Pioneer in the Industry. Best in terms of its standard. Lives to its reputation." Implementation for Apttus is greatly helpful, easy and allows for easy configurations. Some configurations that clients require need great deal customization and the customer is always on the move to add new features in the CPQ engines or for the matter even into the contract life cycle system as well. Apttus has served its purpose for all these needs. I could hardly identify any feature that was not available in the Apttus system that could not address the customers needs. The Flexibility among configuration and code and also integration with the markets other Cloud based leaders brings about a Paradigm change that Apttus gives us. This has not only improved the sales but also has greatly enhanced the time gaps. There is not much to dislike with Apttus and I have used two other systems for CPQ as well. And Apttus is simply outstanding. The only complain that any one could get it Apttus the migration of Data i.e. records configured for Apttus. Its not entirely click path easy migration process and may have a minor complication to it. Apttus has done a great job in supporting our very complex environment. The demand for expertise on Salesforce is ever growing and its hard to imagine a life with Salesforce with Apttus to make lives easy. We have a very large and demanding sales force with a lot of very specific requirements for quoting. Apttus Professional Services has done a fantastic job in partnering with our team to deliver a solution that allows us to quote seamlessly across our entire, very large portfolio. Apttus products are very user friendly and easy to use. All questions are always answered the same day. They take time to walk through the setup to ensure the product is setup for my individual use case. the only thing that I dislike is the fact that I'm on the east coast and my Apttus team is on the West Coast. When I have an issue at 6 in the morning there are times when I have to wait till 11 for a response. Which isn't that bad because I always get a response. I'd recommend this product 100% if your company is looking for quality, streamlining processes, transparency between all departments as well as getting teams to work proactively with each other. This product brings everything together. We now have a more streamline process. As well as having an improved workflow and overall AE Satisfaction is using the product. "Challenging implementation due to some APTTUS CPQ limitations/features." I like that its links with SFDC and NetSuite. I also like the fact that it has helped streamline the approval process for discounts etc. I dislike the fact that we no longer have sufficient configuration rules within the system. Its very simple for an inexperienced user to create a proposal that doesn't contain all of the necessary products which can ultimately lead to customer satisfaction issues and lost revenue. The look and feel of the tool is quite dated and the cart view is particularly difficult to navigate, given that the slider to move left/right of the screen is stuck right at the bottom of the product list. Our approval process is now far more streamlined - this is a big benefit. All booking documentation now resides within the proposal and is easily accessible through SFDC. Order booking is now far simpler. We have not run into anything that we dislike. It helps our sales team select the right product and automatically determine the correct discount, that was previously a very complicated pricing matrix. Auto add product in the cart based on rules is really amazing feature. Apttus CPQ has automated our quoting process eliminating typographical errors and errors in calculations, and has reduced the time to produce a quote from up to an hour, down to minutes per quote. We moved from using excel sheets to generating our quotes on salesforce. the tool provides a friendly and intuitive interface for our sales team to create their own quotes. The configuration side could be a bit more friendly. Our quotes were created on a spread sheet and pricing was hard to maintain. "Apttus CPQ review by a user"
I don't line the fact that I have to wait for page to get refreshed when we add order quantities. This may be specific to my company but its slows down quoting process. User Interface can be more user intuitive by changing colour schemes. Quoting and Pricing for Customers and Partners. All Information stored in CRM rather then constantly updating Pricing in previous quoting tool and CRM that we use. "A great configurator and the best CPQ ever"
Very user friendly and covers all possible Business needs. It can handle multiple level of approvals. The UI is very interactive and user friendly. Highly reliable with different types of discounting. Limited customisation features, can't edit codes. Add more ways to write complex rules especially for manufacturing industry. I work on Advanced discount matrix implementation for one of our customers. Its a good intuitive app giving full blown CPQ functionality and allows you maximise your lead to cash cycle. This enables the agility, flexibility and comprehensiveness to your sales process. Doesn't have extensive pricing funtionality that is most demanded often. Some of the UI components can not be changed. Good product. Take demo. Try out for some time and see the difference. Good CPQ solution that gives the best results after youe are done with opportunity creation. This has reduced the quote creation time by 60-70% in some scenarios for my customers. * We monitor all Apttus CPQ reviews to prevent fraudulent reviews and keep review quality high. We do not post reviews by company employees or direct competitors. Validated reviews require the user to submit a screenshot of the product containing their user ID, in order to verify a user is an actual user of the product. Hi there! Are you looking to implement a solution like Apttus?